RED HOT: Ralph on the set of Smash's season 2, airing on NBC in January. 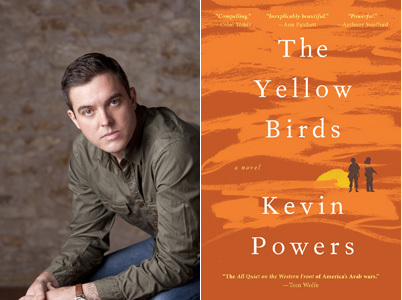 Widely described as “a powerful account of friendship and loss,” The Yellow Birds (Little, Brown and Company), set in Al Tafar, Iraq, chronicles 21-year-old Private Bartle 18-year-old Private Murphy clinging to life as their platoon launches a bloody battle for the city. Bound together since basic training when Bartle makes a promise to bring Murphy safely home, the two have been dropped into a war neither is prepared for. To survive in their hostile environment, the two young soldiers do everything to protect each other from the forces that press in on every side: the insurgents, physical fatigue, and the mental stress that comes from constant danger. As reality begins to blur into a hazy nightmare, Murphy becomes increasingly unmoored from the world around him and Bartle takes actions he could never have imagined. The book’s incredible emotional authenticity, reviewers have noted, can be largely hinged to the debut author Kevin Powers’ past as machine-gunner who joined the US Army at age 17 and served in Iraq in 2004 and 2005. 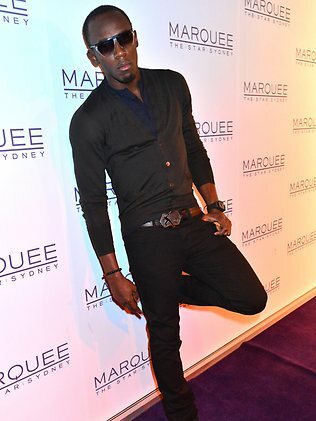 OFF THE WALL: Bolt visits the Sydney hotspot Marquee at The Star. As TALLAWAH previously reported, sprint king Usain Bolt and a handful of his colleagues – including singer Chris Martin, friend Norman, and brother Sadiki – arrived in Sydney, Australia last Wednesday for a “strictly recreational” post-season holiday. What has the Jamaican posse been up to so far Down Under? So far, they’ve headed west with Australia's own 400m sprinter John Steffensen to smash out a few laps in a go-kart at Eastern Creek. “Go karting, boss swagg!! Shut the track down!!!" Steffensen tweeted alongside a pic of Bolt and the crew. Steffensen also said they had a blast at the track, but remained tight-lipped on whether the World’s Fastest Man helped him be the fastest on four wheels. 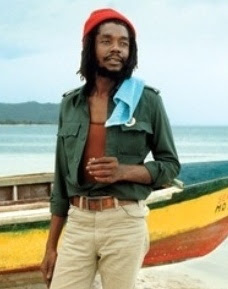 “Everything is good, man. Everyone's great, everyone is blessed, and everyone’s having a great time. We are glad to be here and ready to relax. 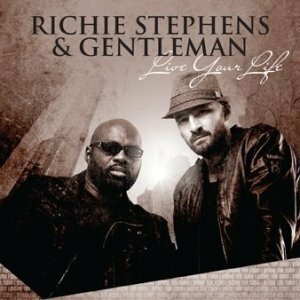 We will show him a good time,” Steffensen said. Meantime, according to Syndey's The Daily Telegraph, Bolt began Saturday evening chowing down sushi and tempura prawns at The Star's Japanese eatery Sokyo before he and his entourage made their way upstairs to Marquee, where he posed for pics with fans. Bolt and the crew have also made stops at the Bondi hipster haunt and such Kings Cross hotspots as Backroom and Beach Haus. “He was having a great time, mingling and chatting but he was also trying to blend in which was a bit hard considering he is almost 2m tall,” one clubgoer said. MOVING ON: "I am [a woman of] standards, and people say I’m miserable and gwaan like mi a diva,” says actress Andrea ‘Delcita’ Wright, speaking with CVM’s OnStage over the weekend about her surprising exit from Stages Productions. “Standards are why Oliver Samuels has been around for such a long time, and Andrea ‘Delcita’ Wright wants to be around for a long time.” Striking out on her own, the crowd-pleasing actress and single mother says she plans to raise the bar in local theatre circles with her very own Big Stage Entertainment, whose first production is the comedy CourtHouse Drama, opening Oct. 12 at the Olympia Crown Hotel. 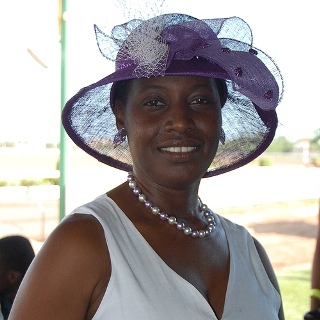 In 2011, Dahlia Harris exclusively shared the wonderful news of her wedding engagement with TALLAWAH readers. Now, the word on the street is that the multihyphenate star recently tied the knot with Mystery Man and is now enjoying life as a happily married woman. Sounds lovely, but once I have all the real facts, you’ll be the first to know. Meantime, Harris can be seen these days treading the boards of the Pantry Playhouse in Jamaica Fifty 2 Rahtid. UPDATE: Busy Signal’s release date from prison is November 21, according to online reports. Meantime, a video for the deejay’s hot new collabo with No Doubt titled “Push and Shove” has been released online and is available for viewing via YouTube. What’s hot right now: Power with responsibility. Using your clout and influence to teach and save and transform lives for the better. What’s not: Violence (of any kind) against women and kids. 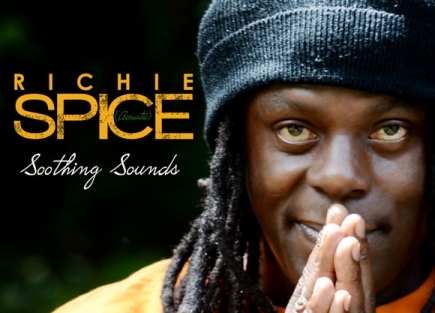 SINGLE SPOTLIGHT: The dancehall star takes centre-stage. Top-flight deejay Konshens is fast becoming one of my favourite live performers, joining the ranks of Kanye West, Beyoncé, J-Hud, and of course, MJ. To be perfectly honest, that’s an incredible feat in and of itself because giving a live performance is not just about rendering your big hits to the audience’s delight; it’s about delivering a high entertainment value steeped in compelling stagecraft and keeping it real. As TALLAWAH readers are fully aware by now, the 27-year-old deejay is all about keeping it real – which can sometimes attract controversy. But ninety percent of the time, his lyrical and emotional authenticity makes his audience appreciate him that much more. Hence his burgeoning success locally and abroad. And speaking of success, the deejay’s “Behind the Screen” concert held last Tuesday night inside Usain Bolt’s Tracks & Records was all that and more. The crowd that he drew to the Marketplace venue was so humongous that dozens had to enjoy the show from the outside. Meantime, the early birds and those fortunate enough to be part of the standing-room only audience got value for their hard-earned dollars. The performance Konshens gave was not only laced with lyrical brilliance but also a fun sense of improv and forging a real connection with those standing before him, predominantly screaming females aged 21-35. By the time I arrived at Tracks & Records, the deejay was already in the midst of “Winner,” after which he segued into the heartfelt “She’s Happy” and the provocative “Gunshot Ah Fire.” Fan favourites like “Gal A Bubble” and “Stop Sign” were met with deafening screams, which only intensified when the deejay removed his shirt to reveal a white merino. “Take it off!” a woman in the back shouted. 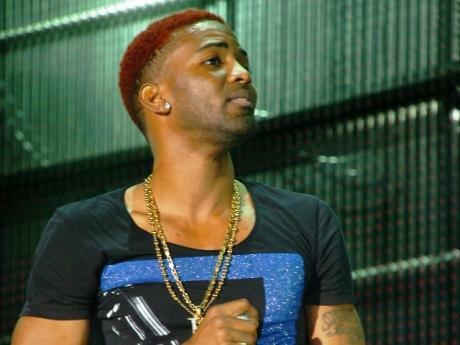 “You take yours off,” Konshens responded to a round of laughter. It’s that sort of easy give-and-take that continues to endear him, I think, to followers while widening his loyal fanbase. HOUSE PROUD: Rawlins strikes a pose inside the iconic Devon House mansion. If you were marooned on a deserted island for days awaiting rescue, list three things that would best help you pass the time? (1) Pencil (2) a thick notepad (3) Lots of red rum. I would chase it with coconut water. I want to write my autobiography and what a perfect place to do it. The rum is for entertainment and to pass the time. What has surprised you the most about your (ongoing) evolution as an actress? However grateful I am for the success I have had so far as an actress, what surprises me is the success. I stumbled upon [this] acting career even though my family, teachers and friends knew I had it in me. Now I am so happy I did it, it's one of the things that keep me most motivated. Three pairs of shoes in DSW. Which do you desire more: wealth or fame? Wealth. Fame can’t go shop, sadly. Meryl Streep or Glenn Close: Who gets your vote for World's Greatest Living Actress? Meryl Streep! How she totally becomes the character she plays. And she has done so many and none are alike. She is revered as one of the best actresses of our time, and she is one of the most humble. Name some of your favourite literary heroes, whether authors or characters? What's your main goal in life these days? I am going to buy a house! What are your ideas for keeping Jamaica an artistically outstanding nation? We are not just a nation of athletes and singers/DJs. More exposure is needed for other artists and talents. More opportunities to showcase talents e.g. 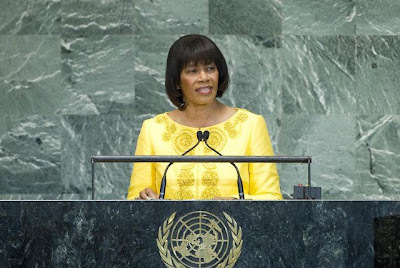 repositioning Edna Manley College, revamping the film industry, building more theatre houses, and heightening the focus on talent development is schools. This can only be achieved through major government and private sector support. Physically, my breasts; weight loss is great but it has its downside. Other than that, I have my ‘ways’ but who doesn't? I am pretty comfortable with who I am. What is it that you value in life above all else? There are several things I value so it is difficult to choose one, but what I value the most is this drive and commitment I have to just be the best in whatever I find a passion. DUET: Weir poses with Khadyn Ridley at the Konshens concert. 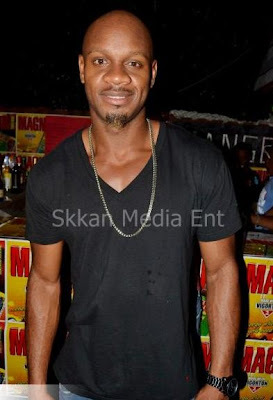 The Olympic bronze medallist (one-third of Jamaica’s history-making 1-2-3 Men’s 200m team in London) and avid dancehall supporter was on the scene last Tuesday night at Tracks & Records for Konshens’ “Behind the Screen” concert, where he spoke to TALLAWAH about his taste in music and how he spends his time off the track.